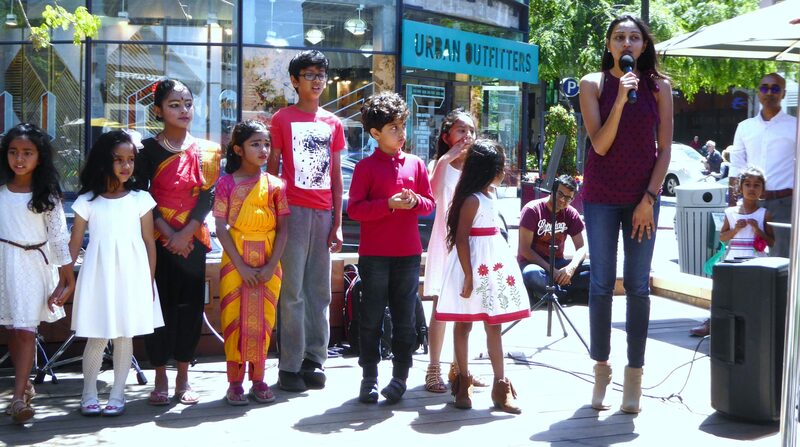 “We shall overcome….We shall live in peace, someday, someday,” sang 10 Kindergarten through 5th graders from Don Callejon Elementary School, Santa Clara, on stage at Santana Row’s Park Valencia on May 12. “I’m proud to be an American,” belted out Yuvan Gautam, an 11-year-old vocal powerhouse. (Check him out on YouTube.) Shazneen and Alyssa, both nine, sang “The Fight Song” by Rachel Platten. “It gave me goose bumps. 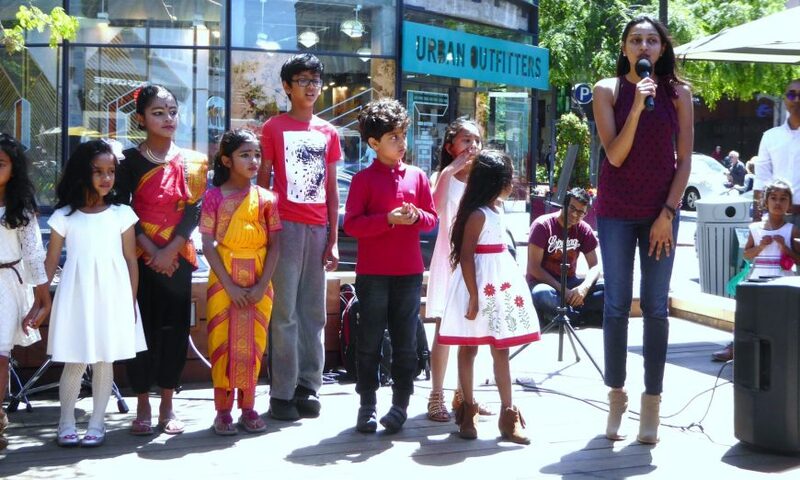 They all sang with so much passion,” said Garima Agarwal, the Santa Clara mom who organized the Bye-Bye Kids’ Cancer talent show—a fundraiser for pediatric cancer research. For almost two hours, 35 children sang their hearts out, danced, demonstrated martial arts and played instruments—the keyboard, drums, violin and guitar—to raise money for Stanford University’s nonprofit Lucille Packard Children’s Hospital. Eight-year-old Ari Kumar Sharma demonstrated tai kwon do, breaking wood blocks with hand chops and kicks. Ninya Udinoor, 10, choreographed her own dance, combining classical Indian dance and gymnastics. Introduced as “young change enablers,” the performers were part of the third fundraiser organized by Agarwal to teach compassion to her nine-year-old son, Aeshaan Singhal, who played the guitar and stood in for his mom as emcee because she had a cold. Agarwal explained that she and her husband, Abhishek Singhal, learned to help others from the example of their own parents in India. Her mother taught elementary school. Then after school, she taught poor children for free in her home. “We grew up learning that you do what you can to help others, less fortunate people than you, and be kind,” said Agarwal. The Bye-Bye Cancer fundraiser was facilitated by a cadre of dedicated parents. “Giving a check is one thing, but we want to incorporate that habit into our child so he knows what he’s doing is for a good cause,” said Santa Clara resident Amit Sharma, who held the wood blocks during his son’s tae kwan do demo. Six-year-old Aarush Aroun from Milpitas played the piano and made a speech about martial arts expert and actor Jackie Chan. In 2015, $1,900 was raised and $2,656.66 in 2017. This year, about $1,400 was raised by noon Saturday. 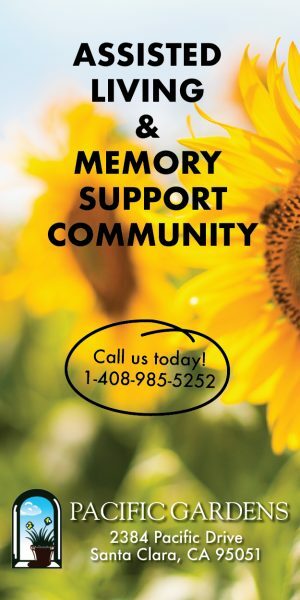 Donations can be made at www.tinyurl.com/banishcancer to help reach the goal of $4,000.